US Event Structures provides the finest quality tents, clear span structures and tent accessories, along with unsurpassed service from start to finish. Our company is comprised of seasoned veterans in the special event industry, who take great care in providing top notch service. Our team approach ensures that you are fully satisfied from the initial contact with us through the completion of the event. 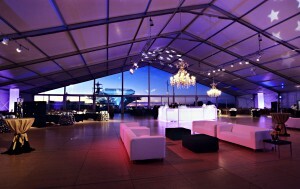 Tent sizes range from 10 ft. to 165 ft. wide, and are available in any length. We offer additional accessories, such as lighting, flooring systems, climate control, glass enclosures and two story structures, all of which are available to assist in designing the atmosphere that is right for you. We have been creating fabulous events throughout the Maryland, DC and Virginia areas for many years and look forward to partnering with you on your next event.